In the middle of a brutal winter, it is only natural to desire the warmth of your own home. 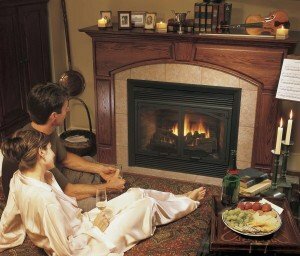 In most homes a fireplace is a natural gathering place for the family to escape the truth of the cold air right outside. Unfortunately, that soothing fire could start a chimney fire, causing significant and even dangerous damage to your chimney system. It is no wonder that most chimney fires occur in the winter, but what do you know about them? Here are nine items to keep in mind to help avoid or deal with chimney fires. 1) A fire is only meant to be within a fireplace. A popular news item around the holidays is the home caught ablaze due to a chimney fire. A chimney is designed to handle hot gases, such as the smoke that comes from burning a fire down below, but once flames enter the system direct above the top of your fireplace, damage can quickly occur. So, how does that happen? One common cause is an lit item floating up and igniting creosote build-up. 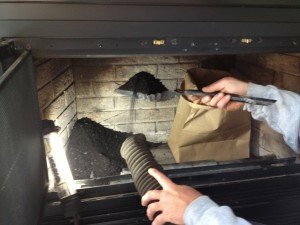 That’s why any chimney sweep worth their weight in soot will recommend only burning wood or approved fire logs in your fireplace. Items such as wrapping paper left behind after frenzied Christmas present opening and pizza boxes from your winter sports bash should never be burned in a fireplace. 2) A chimney fire may go undetected. It is commonly said that a chimney fire can sound like a freight train or jet coming through your house. While that is certainly true for large-scale chimney fires, smaller ones can often go undetected. 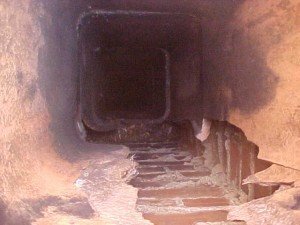 If you suspect you may have had a chimney fire, an inspection of the flue system will certainly uncover some clues. Something to look for are blotches or spotted areas where some creosote is present but some of the flue tile is clean. Other telltale signs of a chimney fire are puffy creosote (looking very much like black cheese puffs) and vertical cracks in the flue tiles. All of these are sure signs your chimney may be damaged from a chimney fire. If any signs of a chimney fire are present, it can be assumed that the system has been compromised and should be considered unsafe to burn. 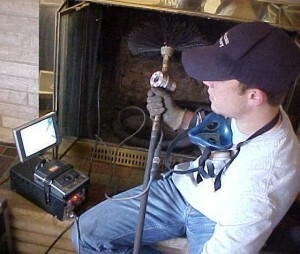 A chimney professional can come and investigate as well to confirm your suspicions. 3) Having your chimney inspected annually and swept (if necessary) is the best prevention for a chimney fire. As with any fire, there needs to be a catalyst of some sort, and fuel. Some catalysts have already been mentioned (if you’re not starting your fire, don’t throw all that newspaper in there! ), but normal levels of creosote that build up in a year are typically not enough fuel for a chimney fire to ignite. It takes what is known as glazed creosote, and it is much different than its powdery sooty beginnings. Using treated, green or wet wood in your fires will cause creosote to build up faster. Burning too much of this wood, or any excessive wood burning without cleaning, turns what most recognize as soot into a glossy, oily looking creosote that is baked onto the tile and brick of the chimney. Annual inspection and cleaning when necessary is the best way to prevent this buildup. Look for a chimney professional to provide this service, and schedule it annually to prevent your chimney from developing glazed creosote. Also, using commercially available products such as creosote powder treatments on your logs can help to alleviate this buildup. This is a great option for those homeowners who have wood burning stoves, or use their fireplaces daily throughout the winter, though it should not be used as a substitute for a proper cleaning. 4) Chimney fires are considered “sudden occurrences” by most homeowner’s insurance policies, and repairs are therefore typically covered. This is one of those cases where homeowner’s insurance comes in handy. A chimney fire is classified as a “sudden occurrence” in most homeowner’s insurance policies. Although each policy is different, making a call to your insurance agent to verify coverage is a good idea if you have had a chimney fire. This can take an expensive repair and makes it much more affordable. 5) The most important thing to do if a chimney fire has occurred is to document everything possible. 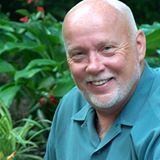 Working with an insurance company is certainly not a homeowner’s dream, but the best plan to make it as pleasant as possible is to properly document what has happened. Things to consider having documented are the date and time the fire occurred (if known), the name of the service professional who inspected the chimney after the fire, and the date it was inspected. Also be sure to save any paperwork provided by the professional, as it will often contain additional items observed by the service company that would be traditional signs of a chimney fire. Many times an insurance claim can be expedited if these things are documented in advance. 6) Video and/or photographic evidence of the damage done by a chimney fire is crucial if the date of the fire is not known. If the fire occurs slowly and quietly, in many cases it can still do enough damage to make your chimney unsafe to burn. So, if the fire department wasn’t called and flames weren’t seen coming out of the top of the chimney, it can often be difficult when the damage occurred. Looking down the chimney to damaged flue liners that must be replaced! 7) Let the insurance company lead the investigation, but keep a dialogue with them every step of the way. When working with insurance, it is always the best policy to allow them to take the lead and provided the documentation and assistance they need as they need it. If no one has been out to service the fireplace yet after the fire, feel free to arrange that service after the insurance asks for a more detailed inspection. However, feel free to check in with the insurance company from time to time, asking what the status of the claim is and if they need anything other information or documentation. 8) The first word from the insurance company may not be the last word. Sometimes a homeowner may initially get a “no.” This can be for many reasons and can vary from company to company, but don’t just assume that is the end of the conversation. A policy holder certainly has a right for an explanation to any denied claim. Many times, it may be because they do not have enough information or the correct information. Once again, documentation is priceless in this situation. 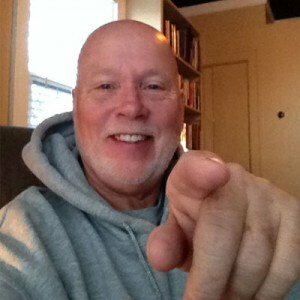 Ask to have the claim reviewed by another claims supervisor or the manager of the claims department. See what gaps in information might be there and suggest ways you can provide what they need to reconsider. 9) Even if the insurance company ends up denying the claim, there are other legal options. Although most claims are hassle-free if you have proper documentation, there are certain times when the homeowner and the insurance company may come to an impasse. If that is the case, there are ways to challenge the insurance company legally. As a final effort, the homeowner can consider contacting an attorney that specializes in insurance fire loss claims. ← Levels of Chimney Inspection – 1-2 or 3 which one is right for you?